Microsoft Acquires Citus Data, the PostgreSQL Scaling Company — Citus has become well known for its eponymous Postgres extension that makes Postgres horizontally scalable, and this is an interesting acquisition that demonstrates Microsoft’s commitment to supporting its open source database users on Azure. The Future Will Be 'Documented' — MongoDB CEO Dev Ittycheria explains “why it’s now clear that the document model is the best way to work with data” and “that documents, not tables, are the future.” A feature by feature driven comparison with AWS DocumentDB follows. 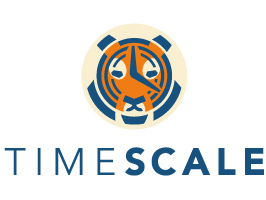 Performant Time-Series Data Management and Analytics with PostgreSQL — Learn how TimescaleDB transforms PostgreSQL into a time-series database by improving insert rates by 20x, sustaining much faster queries, introducing new analytical capabilities, and more. Calculate Percentiles to Learn About Data Set Skew in SQL — Learn how to detect ‘skew’ in your data (this is when a normal distribution is not symmetric and measures just how non-uniform the dataset is and in which direction). MongoDB Compares MongoDB to AWS DocumentDB — MongoDB’s CTO Eliot Horowitz makes a comparison between MongoDB and the new AWS DocumentDB service. While DocumentDB offers MongoDB protocol compatibility, MongoDB claims it only passes 35% of their correctness tests and is outperformed on many types of workload. Why Do We Have Streams in Redis? — An overview of the latest data type added to the popular Redis data structure server in its latest version, along with why they were added. Get a Deep Technical Introduction to MongoDB — In this webcast series you'll learn about MongoDB's schema design, indexing, data aggregation and scaling architecture. Loading Records from SQL Server in PostgreSQL with a TDS Foreign Data Wrapper — Got some data stored in SQL Server that you want to query from Postgres? It’s possible with a foreign data wrapper — here’s how. InfluxDB 2.0 Alpha Release and the Road Ahead — The first alpha build of InfluxDB 2.0 is now available. GridDB 4.1 Released: Toshiba's Key Value Store — A scalable, high performance key value store focusing on sensor data stored in time series. 4.1 adds long-term data archiving.